This is part 1 of the 2 part post Texas Barbecue Myths. For Texas Barbecue Myths – Part 2 – Click Here. I often hear people say something like, “I like my brisket Texas-style seasoned only with salt and pepper, cooked low and slow and served without sauce because my barbecue has nothing to hide.” Though the message is conveyed with relatively few words, it’s an encyclopedia of innuendo, backhanded insults and, frankly, ignorance of barbecue as it exists in Texas. Such a statement goes to show just how far today’s shallow, barbecue themed TV shows and drive-by magazine articles have dumbed down people’s knowledge of barbecue. 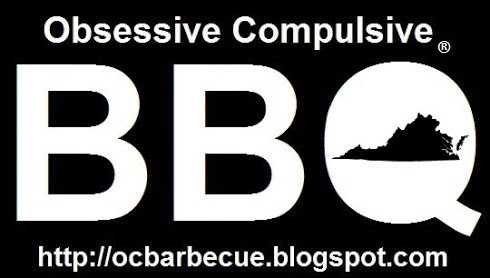 Though there is more information about barbecue available nowadays than ever in the history of the world, thanks to the Internet, TV, magazines, books and newspapers, some of the popularized portions of that “knowledge” are nothing more than half-truths and downright falsehoods. The worst part is the fact that too many writers with amplified outlets lazily take turns regurgitating faulty information and echoing each other’s errors ad nauseam. Sadly, the old adage, “A lie travels around the world while the truth is still putting on its shoes” is still true; so is the old adage, “If you repeatedly tell a lie, people will come to believe it.” All of the false information about barbecue available today is a witness to the truth of those old sayings. So, what’s the truth about Texas barbecue? Is barbecue only seasoned with salt and pepper uniquely Texan? Is sauced barbecue shunned in Texas? Is barbecue supposed to be wrapped in butcher paper? Is brisket really a difficult cut of meat to barbecue? Doesn’t everyone “who knows what they are doing” barbecue a brisket for 12 to 18 hours? What about barbecued sausage? Let’s turn off the echo chamber of monkey-see-monkey-do writers and examine the facts. I know of only one place in Texas that MIGHT season its barbecue with only salt and black pepper. The majority use additional ingredients including sugar. Kreuz (pronounced Krītes) Market in Lockhart uses salt, pepper and cayenne. The same is true of the rub at the Salt Lick in Driftwood. Black’s Barbecue in Lockhart uses additional ingredients in their rub including what looks like red pepper flakes (much like a Virginia-style rub). Sauce for sale at Black's Barbecue. barbecue requires much sauce." He went on to describe the Texas-style barbecue sauce that was made with vinegar, hot water, melted butter, sometimes rendered beef suet, salt, black pepper, red pepper, tomato ketchup, Worcestershire sauce, onions and thickened with flour. The writer concluded, "It is useless to ask a Texan for a barbecue sauce recipe in small amounts." That hasn’t changed to this day. If you’ve ever been to Texas and eaten at a barbecue restaurant there, you know that Texans love their barbecue sauces. The stuff is on display at barbecue restaurants there like precious jewels. In fact, I know of NO barbecue restaurant in Texas that doesn’t serve sauce with its barbecue. That’s right, there is NO restaurant in Texas that doesn’t serve sauce with its barbecue; NONE. Iron Works BBQ in Austin. sauce bottle in upper right corner. fructose corn syrup, MSG, sugar and molasses. Interestingly, black pepper and salt are the last two items listed in the ingredients indicating that the quantity of those two is the smallest. Two interesting omissions are jalapeno and cumin. Aren’t they unique Texas ingredients? John Mueller, protégé of the famous Louie Mueller, has been known to dress his pork ribs using a sweet sauce made with Italian dressing and Karo syrup. That’s real Texas barbecue; or is it Italian barbecue being cooked in Texas? When I was served barbecue at The Salt Lick in Driftwood, Texas, it came with barbecue sauce drizzled over it. The Salt Lick in Driftwood, TX. Regarding the “nothing to hide” remark about barbecue sauce, apparently, according to people who hold to that philosophy, every barbecue restaurant in Texas has something to hide. However, in truth, serving barbecue sauce on the side is a long-held tradition in the United States that goes back to at least the earliest years of the 19th century. Barbecue served with sauce on the side rather than on the barbecue is not merely a “Texas thing.” Many places in the United States serve barbecue with sauce on the side and have done so for a long time. Actually, barbecue sauce isn’t a bad thing. Barbecue sauce can complement the flavor of barbecue in several ways. 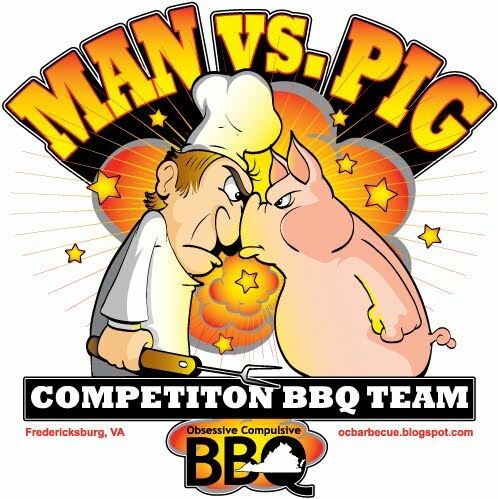 It can intensify the flavor of the meat, introduce a counterpoint flavor (vinegar countering the richness of the meat, for example), and, as every competition barbecue cook knows, sauce can enhance barbecue’s appearance. Some variations of southern barbecue have sauce mixed into the meat, other styles call for it to be served on the side. I’m all for it and so are Texans. If you want to cook “real” Texas-style barbecue, fill up that sauce bottle and serve it with the barbecue. Otherwise, your “Texas” brisket is a poser. In Virginia, many old-time barbecue restaurants not only serve delicious barbecue with the sauce on the side, they don’t even put a barbecue rub on the meat before barbecuing it. That makes it a “Virginia thing,” doesn’t it? So, let’s put this Texas no-sauce myth to bed for good. The smoke roaster at Snow's Barbecue. Texas-style horizontal barbecue smokers may cook what we call today good barbecue, but they are relatively new devices that only started showing up in Texas around the 1950s. Cooking meat in them is more of a roast-smoking technique than a traditional southern barbecuing technique. The Texas horizontal cookers are a major contributor of the origin of the custom of calling a smoke roaster a barbecue smoker. As a result, central Texas-style barbecue is not a traditional southern-style of barbecue. aluminum foil is known as “the Texas crutch” and butcher paper isn’t. Both are crutches but foil is the crutch of choice in Texas just as it is everywhere else in the country.